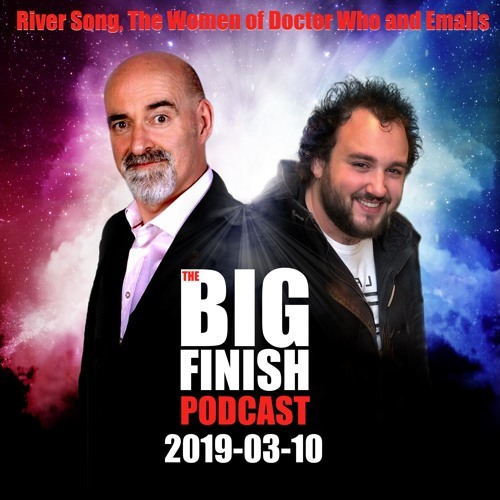 Get it at Big Finish - https://www.bigfinish.com/podcasts/v/2019-03-10-river-song-the-women-of-doctor-who-and-emails Nick and Benji lead you astray, into Big Finish's audio world. There are Listeners' Emails and tangents galore. Drama tease: The 8th of March (featuring the women of Doctor Who). We also delve behind-the-scenes of The 8th of March in a spoiler-free report. And listen out for a Randomoid Selectortron selection, offering you a 25% reduction on the selected release. Just click here and enter the offer code BUCKUP. Listeners' Emails - to join in, email us at podcast@bigfinish.com. This podcast is released on Sunday 10th March 2019. You can download or stream it now simply by pressing one of those handy little buttons below this text. Check out other editions of the Big Finish Podcast in the range here, enabling you to put them into your account and listen via the Big Finish Listening app on Apple and Android devices!